and sang songs and took the holy sacraments. the empty bottle of phenobarbital. her lifeless body face down. a chain of paper dolls. hammers falling all over her body. Maybe I should have been more conscious that day. in the shape of where she stood. the month John Lennon was killed. down at the slush on the street. “Nuns” by Heather Ann Schmidt comes from her book Transient Angels (2011, Crisis Chronicles Press). Heather Ann Schmidt received her MFA from National University and has taught writing for a number of higher learning institutions. A fine singer and visual artist, she also edits the tinfoildresses poetry journal and is the founding editor of Recycled Karma Press. Her other books include Red Hibiscus (Crisis Chronicles 2013), Batik (NightBallet, 2012), On Recalling Life Through the Eye of the Needle (Village Green, 2011), Channeling Isadora Duncan (Gold Wake, 2009) and The Bat’s Love Song: American Haiku (Crisis Chronicles, 2009). Her latest, Field Notes, is forthcoming in 2014. The bed was bejeweled with roses and marigolds? The answer is in experience. And I can lay my body out on velvet. The lover who they are. Heather Ann Schmidt received her MFA from National University and has taught writing for a number of higher learning institutions. A fine singer and visual artist, she also edits the tinfoildresses poetry journal and is the founding editor of Recycled Karma Press. Her books include Red Hibiscus (Crisis Chronicles 2013), Batik (NightBallet, 2012), Transient Angels (Crisis Chronicles 2011), On Recalling Life Through the Eye of the Needle (Village Green, 2011), Channeling Isadora Duncan (Gold Wake, 2009) and The Bat’s Love Song: American Haiku (Crisis Chronicles, 2009). 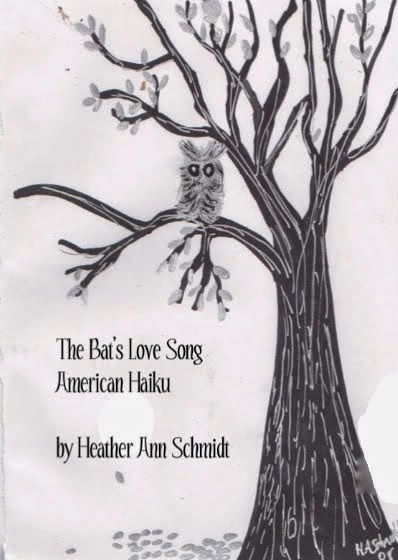 The Bat’s Love Song: American Haiku is available for $5 from Crisis Chronicles Press, 3344 W. 105th Street #4, Cleveland, Ohio 44111. Heather Ann Schmidt has taught writing and more for several institutions of higher learning in Michigan and online. Her most recent poetry books include On Recalling Life Through the Eye of the Needle [2011, Village Green], Transient Angels [2011, Crisis Chronicles] and Batik [2012, NightBallet]. She is also the founding editor and publisher for Recycled Karma Press. Heather’s forthcoming collections include Red Hibiscus and Field Notes. Find more at http://heatherannschmidt.yolasite.com. her diary from that June. Heather Ann Schmidt has taught writing and more for several institutions of higher learning in Michigan and online. Her most recent poetry books are The Bat’s Love Song: American Haiku (2009, Crisis Chronicles), On Recalling Life Through the Eye of the Needle [2011, Village Green], Transient Angels [2011, Crisis Chronicles] and Batik [2012, NightBallet]. She is also the founding editor and publisher for Recycled Karma Press. Heather’s forthcoming collections include Red Hibiscus and Field Notes. Find more at http://heatherannschmidt.yolasite.com. when you see the reincarnation of your words. The one I don’t share with the rest of the world. rolling over, revealing white on black velvet. low whisper of her song. on the way to one of my jobs. Heather Ann Schmidt has taught writing and more for several institutions of higher learning in Michigan and online. Her most recent poetry books are On Recalling Life Through the Eye of the Needle [2011, Village Green Press], Transient Angels [2011, Crisis Chronicles Press] and Batik [2012, NightBallet Press]. 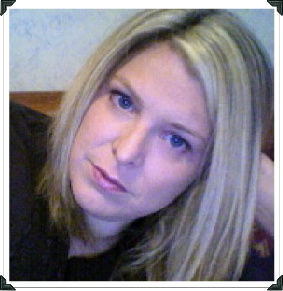 She is also the founding editor and publisher for Recycled Karma Press. Heather’s forthcoming collections include Red Hibiscus and Field Notes. Find more at http://heatherannschmidt.yolasite.com.